For those who are actually following my blog, thank you! It’s been awhile since my last post and I just want to say that I’m not dead and I’m still active in the amateur radio hobby. Just not on the air as much as I would like. Since it’s been awhile, there will be a lot of reading. Noise! The ever increasing noise at my QTH has led me away from the airwaves. Or has it? I haven’t been interested in making contacts lately. Not sure if it’s because of the noise, solar cycle, equipment, antennas, lack of enthusiasm or a combination of them all. I’ve also been doing other things that had taken me away from the blog. For a couple of years I was at the helm of my local radio club and dedicated a lot of time and energy to it. I was very excited when given the opportunity and was hoping to move the club into the future and make it more exciting. However it proved to be difficult and it was getting to a point to where I felt it wasn’t worth the time away from my family. It felt like the board wasn’t really sharing the same interests and that was made apparent when I left when they reverted most of my decisions. Can’t fight the status quo when it comes to ham clubs. However, there were many good times, met lots of nice people and I’ve learned a lot so it wasn’t time wasted. I’ve been dedicating a lot of time and effort into helping those interested in amateur radio to get licensed and help those who want to upgrade by providing free amateur radio examinations. Towards the end of 2017, I created a Laurel VEC team in Western Massachusetts known as the “Pioneer Valley VE Team“. We now have over 25 VEs and administered over 8 exams throughout the pioneer valley. Our goal is to connect new hams with local and national clubs. We are currently the only VE team in Western Mass that is giving out free exams. Just one of our examinations! I’ve also worked on various amateur radio related kits and projects. Built one of the MicroBitX QRP transceivers. I’ve also destroyed it trying to install modifications. Might buy another one with an updated board. My uBitX before it broke. To combat the noise issues I have, I got my hands on Noise Canceler kit from VK5TM from Australia. It has a decent price (around $60USD) and it didn’t take that long to assemble. The hardest parts I’d say were winding the torroid and soldering these very tiny voltage regulators. Here is a screen shot of it in action. On the Waterfall, you’ll see when I switched it on or off. I have since been able to enjoy SSB and actually make contacts. Bit of pain having to adjust it but if there is a station I need to talk to, I can easily turn it on and adjust. 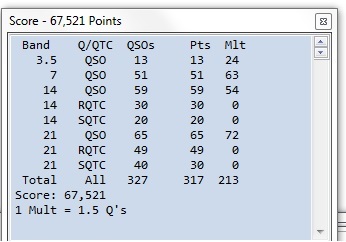 Just not really much from my QTH. I have been using Dave Robbin’s (K1TTT) contest station here and there. He is an excellent host. Dave’s 40m/SO2R station during 2019 WPX SSB as NE1C. He has an impressive station. The downside is after you leave his station, go home and turn on your station, you get bummed out about all the missing signals. I really enjoy contesting and I don’t think I’ll ever get away from it. 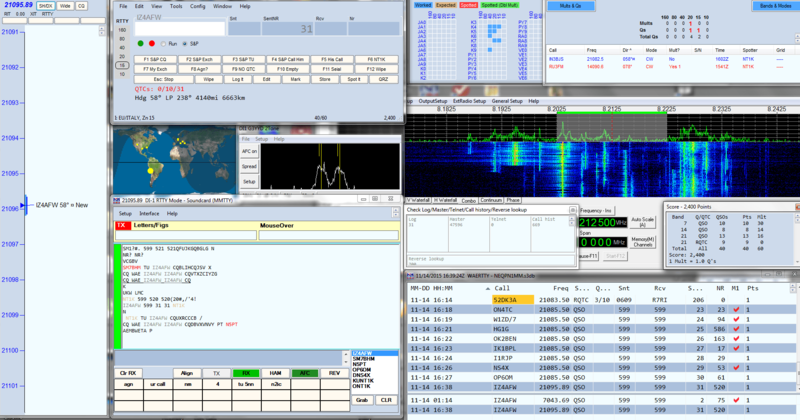 I’ve also done some FT8 here and there. It’s a really excellent mode and I think it’s a godsend for those operators who can’t have a large station. I see a lot of operators dismiss the mode claiming it’s a cheap way to get DXCC but I see it as a mode that re-generates interest in Amateur Radio. As of writing this, The FCC is still seeking public comments about my rule making petition to give residential preference to hams applying for a vanity callsign when the applications are in competition (multiple people applying for the same call). There is still a few days left before they close comments. There are some changes coming to the NT1K shack and I hope that I will be back on the air participating in chasing DX and contesting . I’ve abandoned my dreams of SO2R (For Now). I’m concentrating my efforts on being able to enjoy operating from home again. I’ve sold off basically all my gear which includes my amp (that I miss very much), roller tuner, KX3 and I am currently selling my K3. I am going to have a fresh start. I’m going after a cleaner station with more antenna options. Since spring is here and summer is around the corner, I doubt I’ll be able to dedicate time to my station. 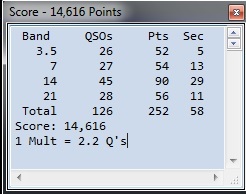 I set my goal to have my station fully operational again on all bands for the CQWW SSB contest. I guess you’ll have to stay tuned. Thanks for reading! With the not so great weather we had around my QTH, I figured to turn on the radio and participate in the ARRL DX side band contest this weekend. It’s been almost 2 years since I’ve did any sort of SSB contesting from my own station. It’s a combination of the solar cycle, RFI from solar panels in my area and being spoiled by operation at contest station K1TTT. This happened just a couple houses away. The trees on my street have seen better days. They are not mostly hollow and were constantly shedding limbs. 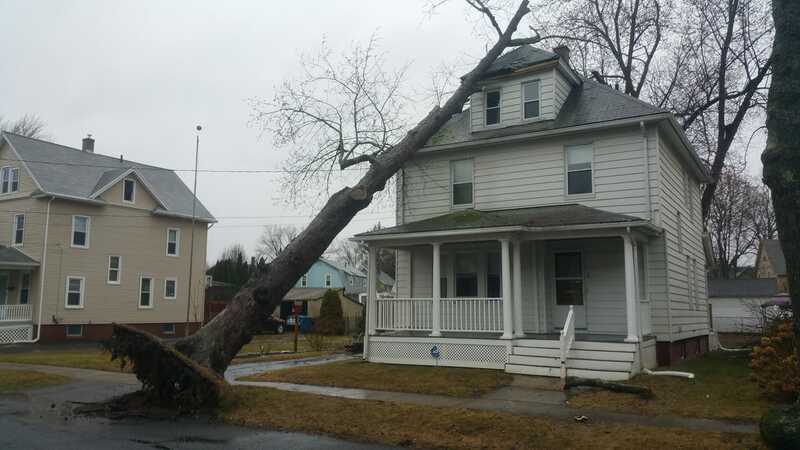 Thankfully the town cut the tree that was directly in-front of my house. They left the stump but after this weekend, I’m grateful. However, I was worried about my roof mounted beam (CL-33) surviving the weekend. I was surprised to turn on the radio and hear signals… Everywhere. It sort of felt like 2011 again. My ears piqued and I was scrambling to set up my logging software and headset. I recorded my macros and away I went. Since I wasn’t really planning on putting in a serious effort (Which I have yet to do from my home), I turned on the cluster and did mostly S&P (Search and Pounce). I was sticking with 20 meters with the hopes of entering as single band until I looked at the rules. Since I was using the cluster/telnet, It puts me into the “Unlimited” category that doesn’t have single bands. I ended up entering as “Single Operator All Band, Unlimited, Low Power” (SOAB(U)-LP). I went with low power because I no longer have high power gear at the QTH. One should always set a goal. 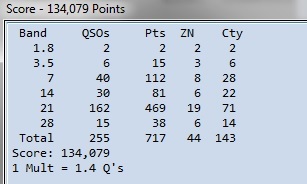 I decided to be easy and make just 100 QSOs. I figured with the way 20 meters was sounding, I should be able to get that in a couple hours. Nope! I had to fight a bit because I was running low power. I started noticing a lot of spots on 15m so I went over a played. It took a few hours but I met my goal. Turned off the radio and did stuff around the house. I though I was done but Sunday morning came along and knew there was more people out there. I was starting to get frustrated during the contest. I recall being easily able to work Italy and Germany. I was struggling. The mix of QRM from everyone trying to squeeze into a tight band, local RFI and poor conditions wasn’t doing well with me. That was until a colleague made a side comment about features of my K3 that I wasn’t using. I narrowed the filter to use my 1.8Khz filter, shifted the filter, turned the AGC from fast to slow, enabled the noise blanker and turned on the noise reduction at times. My biggest aid was the RF Gain knob. All of those combined made operating in my environment much easier. I paid good money for this equipment and I am certain you did as well. Take advantage of what you have. In my case, I forgot about it. I ended up making 155 contacts. I was hoping to make 50k points but life took me away from the radio. There are some “ATNO” (All Time New One) contacts in the log. Z60K (Kosovo) sticks out. I thought PZ5K (Suriname) would be another but I worked PZ5RA back in 2015. Hopefully I get some new band slots. I had fun. It proved that I could do contesting from home. I have to work harder but it’s still possible. You will see on my past couple of posts that I am starting to record my contesting. I’ve received a few questions about how so I figured it deserves a blog post. I’ve been interested in recording contacts since I found GW4BLE’s online recording archive. If you ever worked him in a contest, you can go to his website, search his logs, and be able to listen to the exchange. I was amazed by this because I was always interested in how I sounded. I wanted to do the same. The obvious choice was to contact GW4BLE and ask him how. I wanted the exact same thing. However his response was that someone else wrote the software and that I would have to contact that person. I tried with no response so I wanted to find another way. I was disappointed because it appears they do not want to share. I will have to find another way. Some web searching later I came across a plugin for N1MM+ called QSOrder written by Vasiliy Gokoyev (K3IT). The software/plugin does exactly what I want… Almost. It’s able to record contacts and make individual files or it can record the entire contest or both. Since it appears to be my only option, it will do. How the software works is that it listens to a soundcard and creates a buffer. When you hit the log button on N1MM+, it will trigger the software to make a recording X amount of seconds before and X amount of seconds after the contact. It can create individual files for each contact or it can record the entire contest or both. Another thing you would need to do is modify an .ini file in N1MM+ to enable UDP Streaming. This is how QSOrder knows when to set the buffer and obtains the QSO details to create the file name from. You would also need to setup your audio and this varies depending on your setup. If you have some kind of sound card interface that has it’s own sound card built in (like the Signalink), you can use that. If not, you will have to find a way to get the audio from the radio to the computer’s mic or preferably the line input. Software installation is straight forward if you follow the directions listed on the QSOrder website. I would suggest you install it in a subfolder right off the main drive (C:/qsorder for example). I would also suggest for the first couple times to run the software from a command line instead of trying to click on the executable. The reason why I say this is because if you have multiple sound cards, there is a good chance that QSOrder will default to the wrong card. You would have to tell the software to use a different card. As a person who is used to using a GUI (Graphical User Interface. i.e. Windows), the setup and install was a bit tricky. Even more so when I had to tell the software to use a different input device/sound card. However it wasn’t really that bad to get up and running. Software works exactly like it should. It records contacts and makes .mp3 files for each contact. I would suggest that you make a test contact well before the contest to make sure both N1MM and the recorder is working. I would then listen to the mp3 file to make sure the levels sound good. I made a mistake on my first recorded contest and everything was loud. Can it run with the big dogs? Yes it could. There were a couple times where I had 100+ hr rates and the software held up nicely. I would love to try it out at a multi/multi contest station where I could get bigger rates to really test it out. But for my station, it works out great. Now that I have all these mp3’s, what should I do? I wanted to have the exact same thing as GW4BLE. However OSOrder doesn’t create a searchable DB that can be displayed on website for others to search. I also see that GW4BLE records the entire contest on one mp3 file and the software/website/db links to the section of recording that you want to listen to. QSOrder outputs each contact on it’s own .mp3 file. However the filename allows you to easily make a directory listing of your contacts. I was able to print a directory listing and some cut and pasting later, I was able to share them here on my blog. Even though I now have my contacts online for all to listen, it’s not searchable like GW4BLE’s site or wintest. I still wasn’t completely satisfied. I would like for an All-in-one software that will record the contest, upload the files to a website, create a db and make it searchable from a website. But for the price I shouldn’t complain at all. I decided to contact Vasiliy and see what can be done about it. I e-mailed him in November and he did agree that it could improve. At first I didn’t think nothing would become of it but a couple months later I got an e-mail saying that he created a searchable index with the use of the cloud storage service “dropbox”. All I have to do is create a dropbox account (free 2gb storage), link my account through his website, upload my files to a subfolder that was created and embed an iframe into my website or QRZ page. Check it out for yourself. Who knows, you might have contacted me. If not type in “K1KI” to see both a phone and CW contact. You can embed this into your website or even your QRZ.com profile. It makes for an exciting page. I was able to beta test this feature and even though I am not a fan of using a third party service like dropbox, it’s much easier to upload, search and manage. Vasiliy was very responsive and I am glad he devoted time to making it happen. 9. Correction of logged call signs and exchanges after the contest, by use of any database, recordings, email or other methods, is not allowed. I would suggest to wait until after the log submission deadline to post any records publicly. I hope to record more contests for all to enjoy. I hope that you do as well. It’s great to see how one sounds on the other side of the signal. Another weekend, another contest. 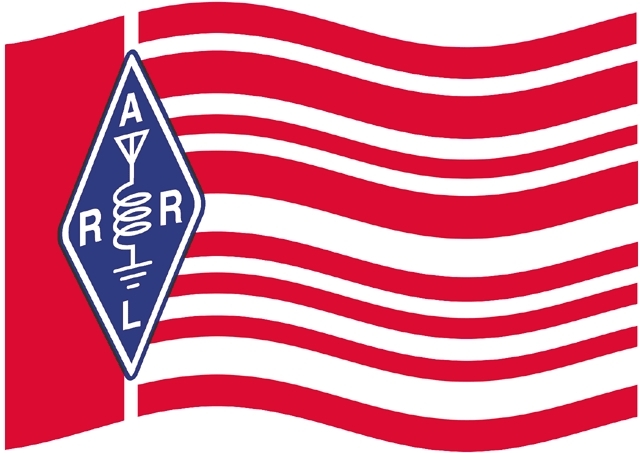 This time it was the ARRL Sweepstakes for CW. I’ve never participated in SS before so it was going to be interesting. Sweepstakes is a US/Canada contest where it’s known for having a long exchange. It consists of a serial number, class, callsign, check (licensed year) and ARRL section. For this contest I would have to send “123 U NT1K 99 WMA”. 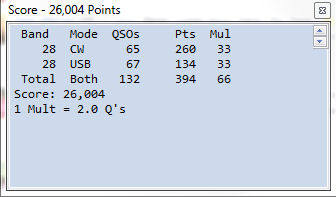 That is much longer than the “599 5” sent in CQWW. The exchange is so long as it simulating sending traffic. I wanted to see how well I can do so I turned off the decoder in the K3 and I avoided any software aids. I entered using the unlimited class expecting that I was going to use the skimmer to at least help me get the callsign correct. After struggling with the first couple of contacts, I had enough and fired up decoder. It would take 5 or six contacts before I decided to throw my call out. I wanted to make sure that they didn’t have to do any additional work. Sometimes I would wait too long and the operator calling CQ would move on. Once the decoder was running, I would only search for loud stations. Depending on the contest, you can use the skimmer and/or cluster to make contesting a bit easier. It’s basically a network where other operators “spot” the callsigns and frequencies of people they just made contact with. If you are connected, it would alert you where other operators are. If you are configured correctly, you can just click on the callsign, your radio will tune to that station and your logbook is already partially filled out. It’s a great way to increase your score because you will be able to easily find multipliers and hopefully work them. However there is a couple downsides. It will put you into a different class/category where it might be harder to win and the information going over the cluster might not be accurate. During SSB contests, the cluster is being fed with information provided by the operator. If he/she didn’t hear the callsign correctly, they could easily spot a wrong callsign. Most times it’s an honest mistake but there are times I’ve seen people purposely throw out false spots to laugh at those who blindly follow the cluster. There are some anti-skimmer/cluster contesters who think it’s cheating. With CW contesting, it’s a different story. There is now software called “skimmers” that will listen to entire CW sections of bands and decode any CW and post it to the network. This almost takes out the human error factor but as I found out this weekend many times, information on skimmer could be just as bad. Things like signal to noise ratio (SNR), QRM, band changes, overdriven signals and even horrible spacing or sending from the operator can confuse the skimmer into giving a bad spot. There has been many times this weekend where I would see multiple spots on the same frequency with different but similar callsigns. It just goes to show that you should never believe what you see on the cluster! Confirm the call before contacting because it might be wrong call or a dupe. This wasn’t a serious effort. I barely know CW and there is no way I can predict the exchange. I guess that’s why some really like this contest. It’s difficult for the new CW operator. At first I wanted to see what I can do without using the cluster. For every one contact I made, I had to listen to 6 contacts before I know the call and exchange they used. After about a couple contacts, I abandoned using my ear and fired up the decoding software. I thought I would be relying on the skimmer for the contest but I’ve barely used it. You can’t tell you are working a multiplier until you hear the exchange being sent. What I ended up doing was turning off the skimmer/spotter and clearing out the band map. I would just spin the dial around until I heard a loud CQ. There was so many people on the air that I didn’t have to spin it much. 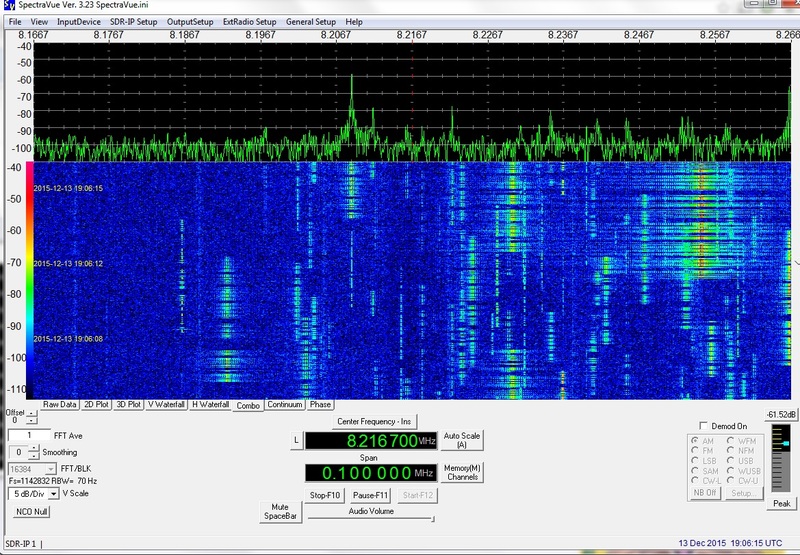 If they acknowledge someone else or I caught it in mid-exchange, I would note the callsign down on my bandmap. If they are a multiplier or a State I needed for Triple play, I would wait. Otherwise I would move on and later go back. I just spinning until I hear “Dah dit dah dit, dah dah dit dah (CQ) or “dit dit dit, dit dit dit” (SS) or “Dah, dit dit dah” (TU). I have been practicing code more and more and I must say it showed. I didn’t have to depend on the decoder as much but I would like to do a contest where I didn’t have load it up. I would like to run for change. Claiming 14,616 points. I wish I committed more time. I wanted to do a clean sweep and work multiple needed states for triple play. It was a great time, the K3 and the serial keying worked without issue and now I can’t wait for CQWW CW contest.